New corner park at entry. The Town of Swampscott, partnering with the All Blue Foundation, worked together to provide funding in a public/private partnership. 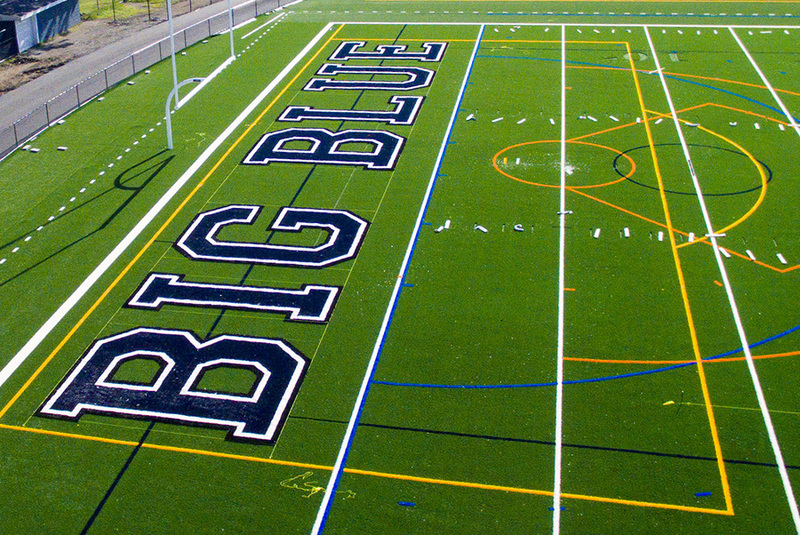 The new synthetic turf multi-purpose field includes an alternative infill product, subsurface drainage system and sports lines for football, soccer, men's lacrosse, women's lacrosse and field hockey. 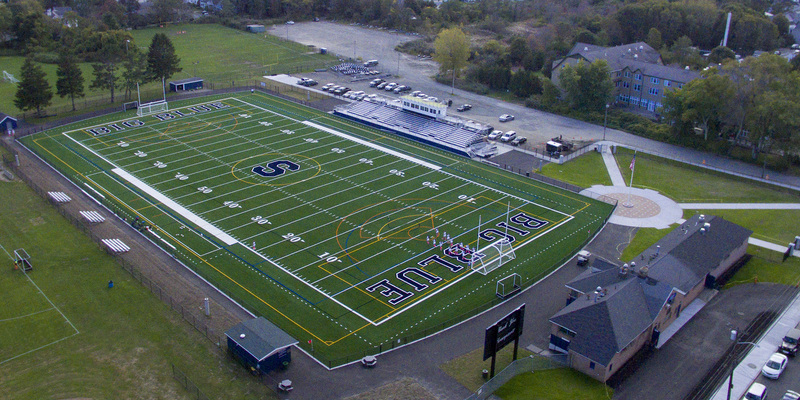 The upgraded field opened on September 9, 2017 on time and within budget.